Please read the description below for details of the product. 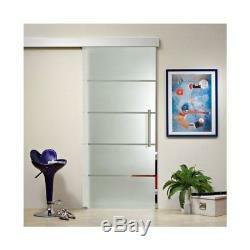 Frameless Sliding Glass Barn Door Frosted / Sandblasted Clear Lines Design. Modern Framless Sliding Glass Barn Door, Sandblasted with Frosted Design. The following options of design are possible. Our elegant supply of Toughened / tempered glass Doors which is the type of safety glass processed by controlled thermal or chemical treatments to increase its strength compared with normal glass. Tempering puts the outer surfaces into compression and the inner surfaces into tension. For this reason, we ask for your understanding of the processing time. Once you have received this highly refined glass sliding door and installed it , you will see that your patience has paid off. Simply a view for any room. You can see the diferent sizes available below this text. The sliding glass door system consists of. Alu100 Sliding System Consisting Of. 1x Glass Door Slab (Size according to your choice). 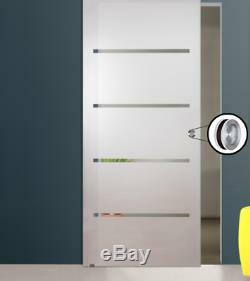 1x Decorative Cover Plate For Glass Doors Silver Colored 200 cm / 6.8 or 240 cm 7,8 ft depending on glass door size. 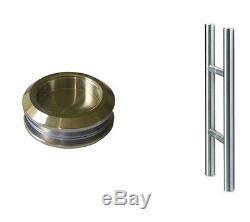 1x Alumium Track System For Glass Doors 200 cm / 6.8 or 240 cm 7,8 ft depending on glass door size. 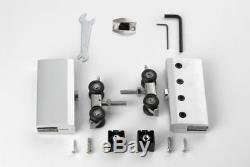 2x Sliding Glass Door Roller / Clamps. 1x 24 Long Door Handle Bar or Recessed Grips. 1x Glass Door Floor Guide (Adjustment Range Between). 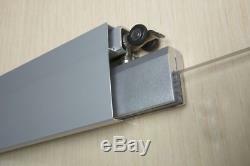 2x Glass Door Stoppers / Bumper / Jammer. 2x Side Caps for Decorative Cover Plate. Suitable for mounting with and without door frame. High quality / Sandblasted -Frosted. Design - High quality, partially transparent glass design. Options for direction of door left or right. All the holes for the mounting of the handle bars are already available in the door. Any Dimensions Available Upon Request. The glass door cannot warp or bend when exposed to moisture. Video and manual installation are available upon request. Design - High quality, partially transparent glass designOptions for direction of door left or right. 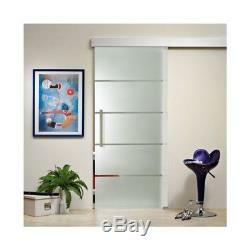 Surface: High Quality Frosted sandblasted Pivot / Hinged Tempered Glass Door. Glass Thickness: 5/16 (8 mm) glass thickness. High Quality Handle Size: Size 400 mm / 16 inches or Recessed Grips. Maintenance: Easy to clean and scratch-resistant. This door is specially made for you! In case of production problems or delays , we will notify you immediately. The following graphics are available to them. Following payments are accepted by us. 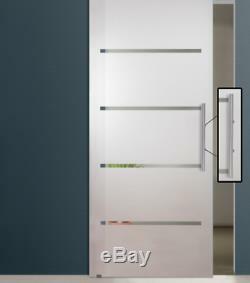 The item "Frameless Sliding Glass Barn Door Frosted / Sandblasted Clear Lines Design" is in sale since Friday, March 16, 2018. 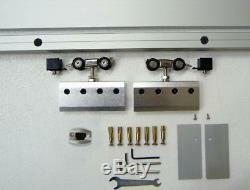 This item is in the category "Home & Garden\Home Improvement\Building & Hardware\Doors & Door Hardware\Doors". The seller is "glass-door_us" and is located in Miami, Florida. This item can be shipped to United States.